Yes, I’m looking for another huge project now. Any bright ideas? 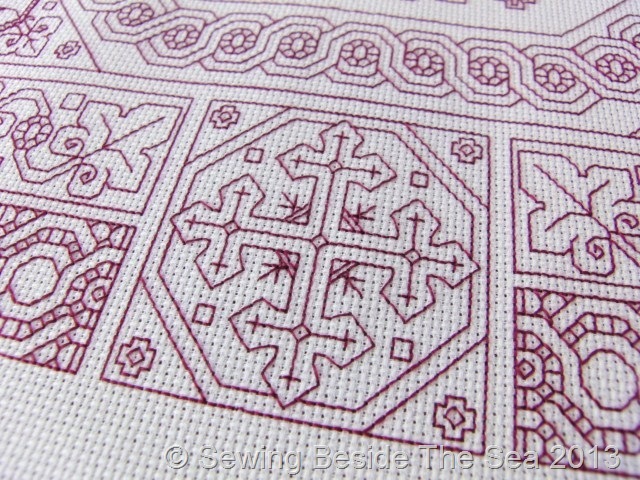 Yes, I like that one too but I’m drooling at the Ink Circles cross stitch ones at the moment 🙂 I’ve just started the final bborder of P2 and it’ll be a long slog I think. This is looking fabulous. It just gets better and better. Well done so far! 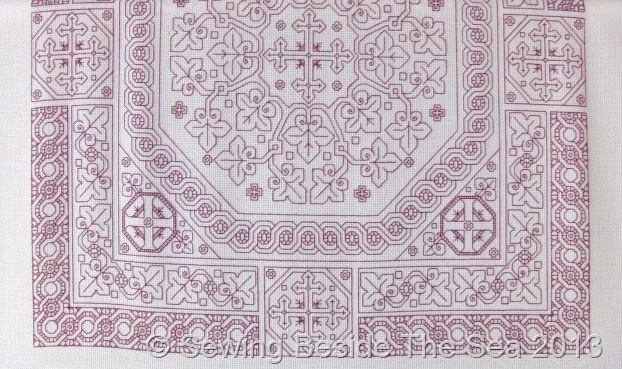 The blackwork is looking really good. I took a quick look at Claire’s. It is going to be much larger than I thought. Have you decided what you will do with it? Thank you 🙂 Yes, I will be framing mine but I think Claire has other plans. Amazing; you have done so much in such a short time. What an impressive work. 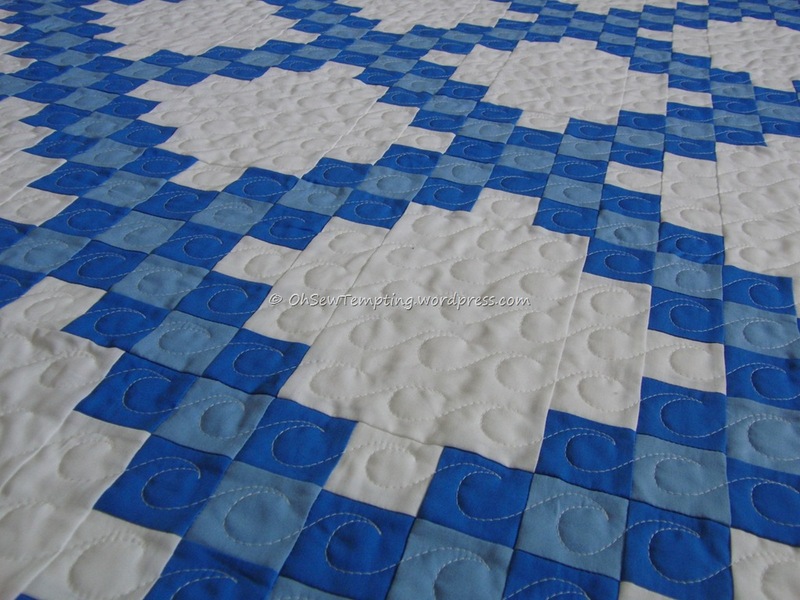 I do wonder what you will do with this piece when the stitching is completed too. Frame? Back it with something and make a wall hanging on a rod or with clips? Certainly worthy of display in a prominent place! Thank you 🙂 You are quite right, mine will be going in a frame and I hope to hang it above the fire place in my living room.